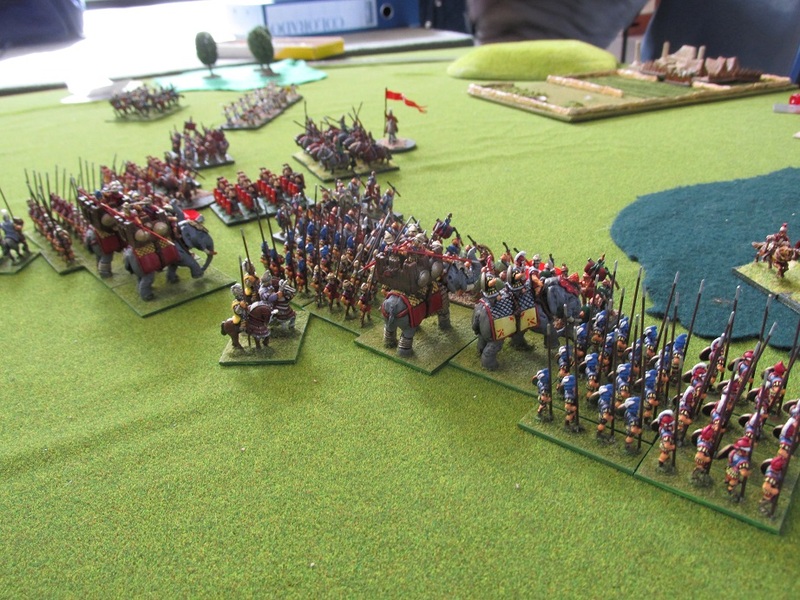 This morning while working on a unit of Spanish Line cavalry I wondered how many other regiments of cavalry I had sitting unpainted out in the cupboard in the Woolshed (not counting the one of Spanish Dragoons and Hussars in my study that I am doing over the next month). 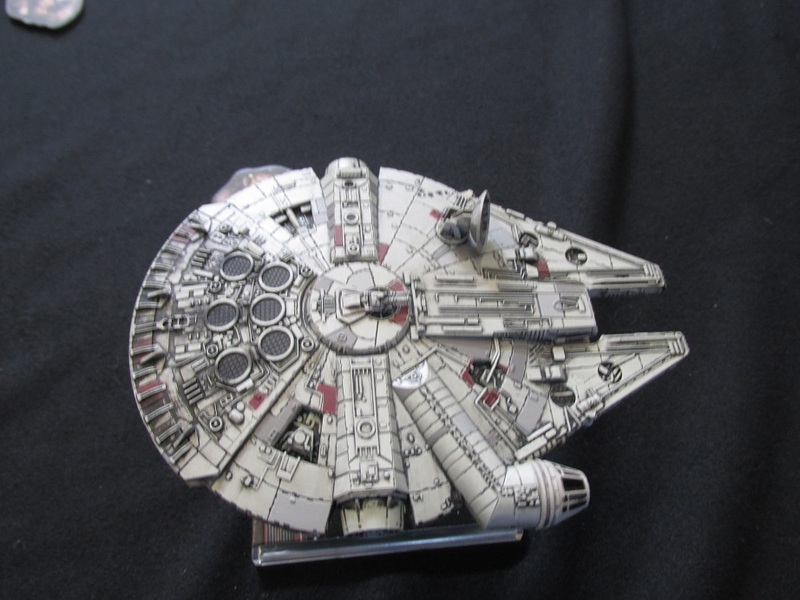 Thought I would check out exactly what I had and start figuring out some sort of plan to get them painted. 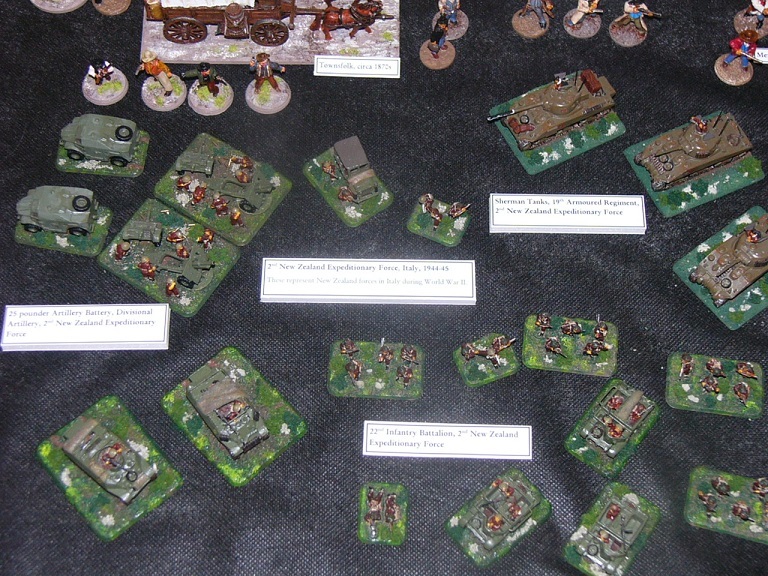 Then I began to wonder exactly how many unpainted Napoleonic miniatures I had. Turns out I have quite a lot. Probably only a lead molehill by comparison to some other gamers, but I don’t have to justify your lead mountain to SWMBO – just my own. I started out looking at just the metals. Turns out I have quite a bit. Boxes and boxes. I never actually knew that I had four French Cuirassier Regiments (two Front Rank, one Hinchliffe and one Connoisseur), two Carabineer regiments (Hinchliffe and Connoisseur), two Dragoon Regiments (mixture of Hinchliffe and Hinchliffe Foremost), another French Chasseur regiment, a Hussar regiment and two regiments of Polish lancers (mostly Hinchliffe). I found six battalions of Front Rank Bavarians, some Hinchliffe Bavarian cavalry (2 regiments) and at least a couple more divisions of French infantry (various), at least three Guard battalions (Front Rank and Foundry), a few artillery batteries and copious officer and general staff figures. 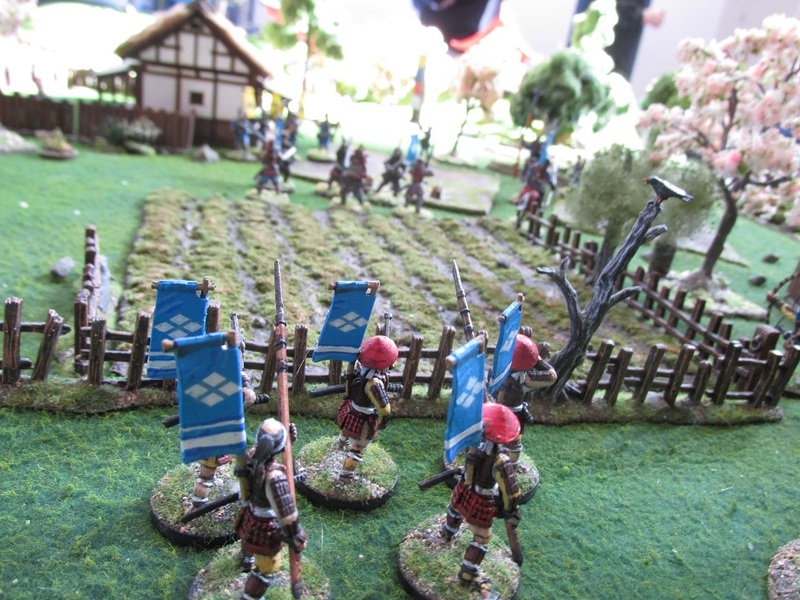 I even found a unit of Scots Greys and a battalion of Foremost Highlanders in charging poses. 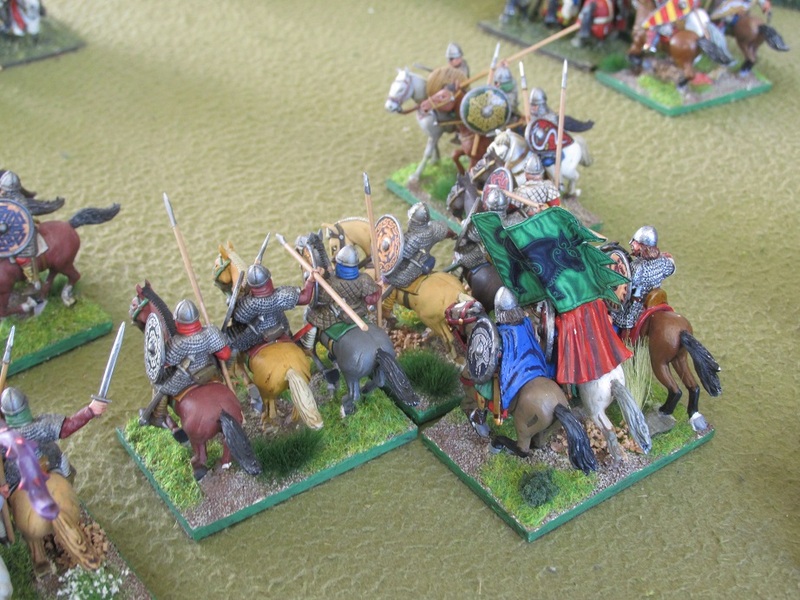 I knew I had some Connoisseur Zastrow Cuirassiers somewhere and I found them too. For some reason I have 24 Dutch Belgian Carabiniers. I have no idea how I came by them. I have never even wanted a Dutch-Belgian force. Likewise the dozen or so Dutch Belgians Chasseurs. Maybe I got them second hand so I could use the horses. Then there are War of 1812 British (Canadian Voltigeurs, Glengarry Light Infantry, three militia battalions, Light Dragoons and officers), Americans (Artillery batteries, Dragoons, Militia, a couple of regular battalions, officers and so forth) and a whole bunch of Indian allies for both sides. I have not even started on the plastic stuff yet. Lots of Perry, Victrix and Warlord Games boxes. Or the Warhammer stuff (Fantasy Bretonnians, Dwarves, Orcs, High Elves and Space Marines), or the Dixon Samurai army, or finish off the boxes of Wild West/Apaches/7th Cavalry/Pirates, etc etc etc. Hell, I even found a box of Eureka Tekumel miniatures I got about seven years back and promptly forgot about and a box of GDW Traveller miniatures that I had not forgotten about – Imperial Marines, aliens and adventurers. All I can say is that it is a good thing Winter is Coming. Plastics – lots of plastics. What the hell have I got two boxes of Warlord Games Russians for? 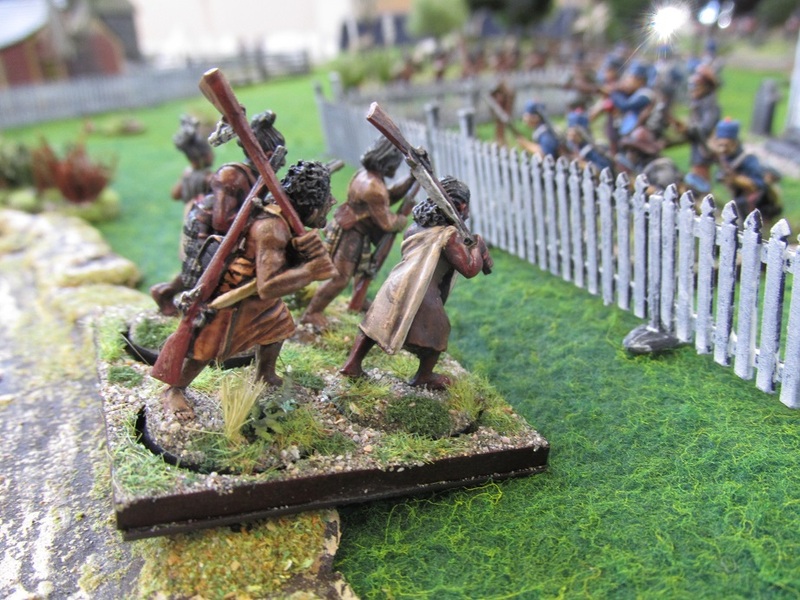 Icecream containers of Napoleonics – Infantry and Saxon Zastrows. Enough Scots to make an old school Hinchliffe battalion. 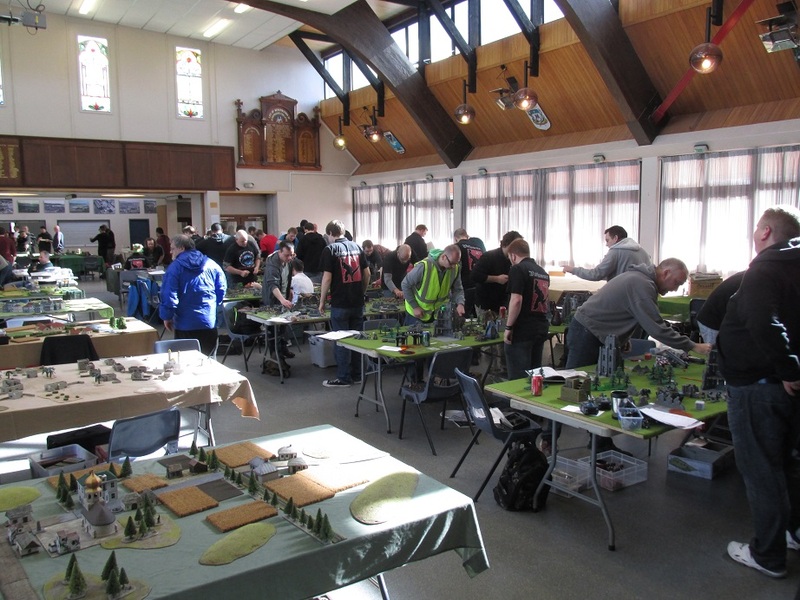 There was more to Call to Arms than our big Leipzig game and although pic heavy, I think that this post will show that wargaming is alive and well in New Zealand. The variety of games, periods and general outlandishness on display was great. Once again the Warlords put on a superb little convention. My only complaint was that the mince and cheese pies from the cafeteria tasted bloody awful. Worst $4 I have spent on food in donkey’s years. Views of the St Pats School Hall. 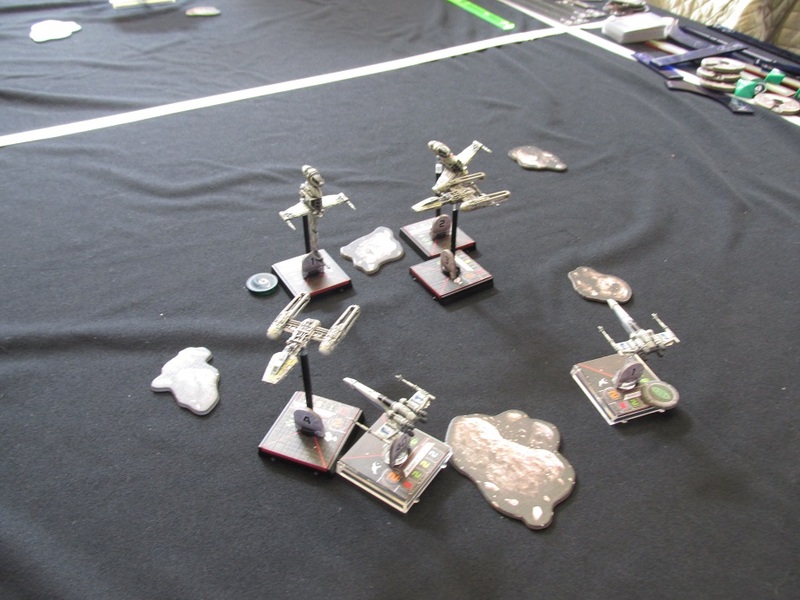 X-Wing Game. Either a Rebel Civil War or perhaps just a training exercise. A W40K Tyrranid Army – I think. I quite liked the display board and the colours of the critters. 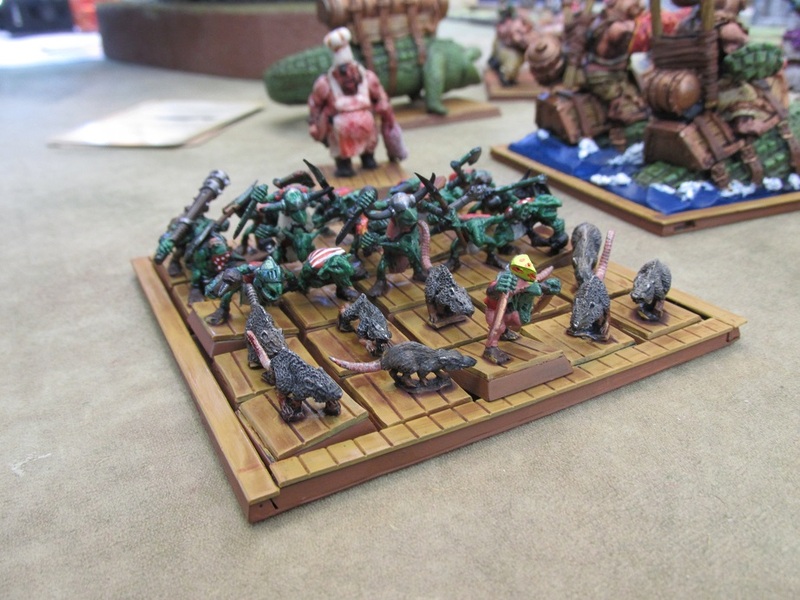 WFB – Pirate Ogre rats and things. 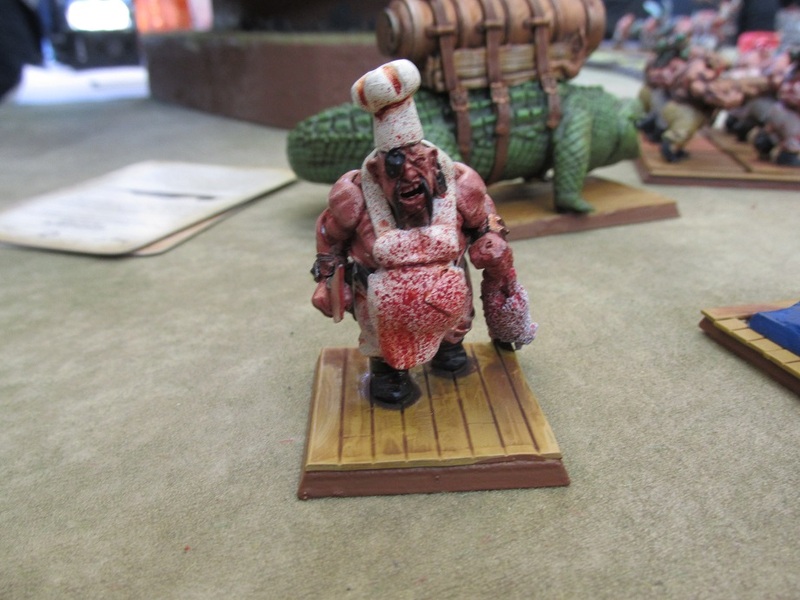 Pirate Ogre Ship’s Cook. I think this guy made the meat pies that the cafeteria sold. WFB – Pirate Ogre mobile artillery. 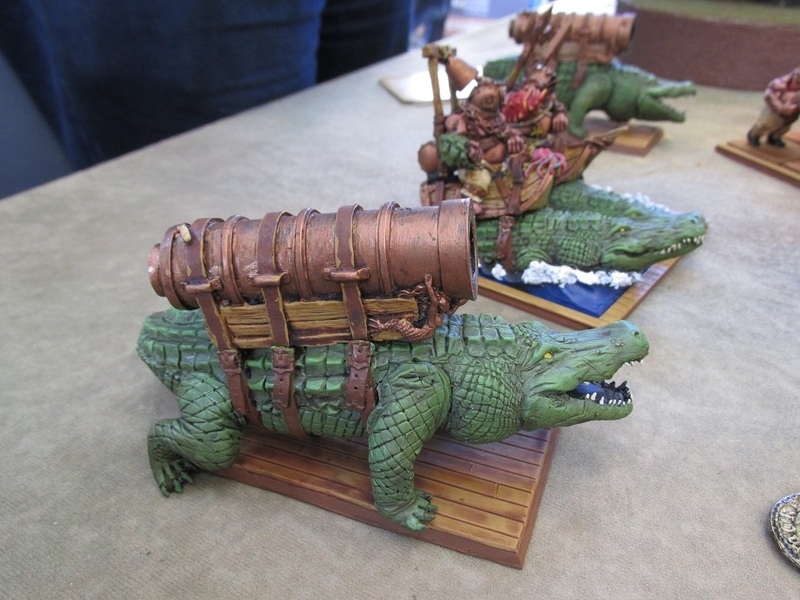 Cannons on Giant Crocodiles. How awesome is that? 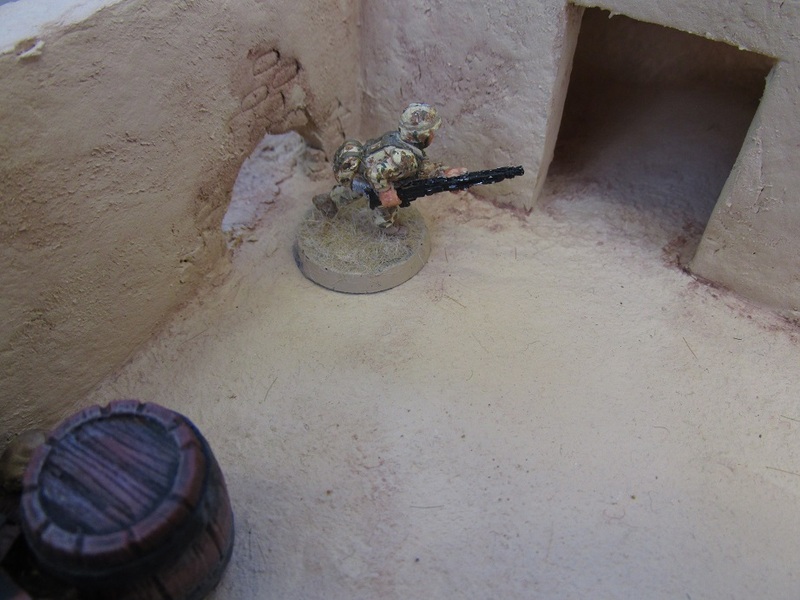 Skirmish Sangin – entering a compound through a hole blown in the wall. 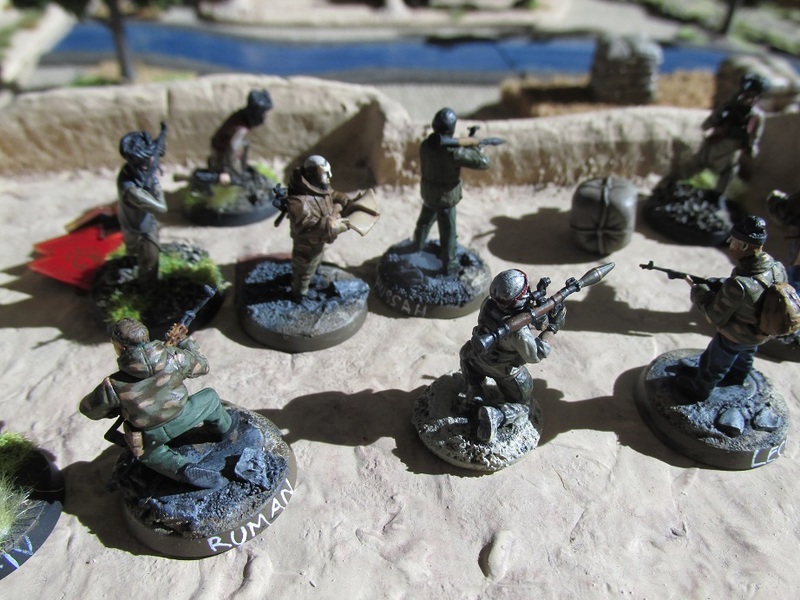 Skirmish Sangin – Insurgents I think – having a roof party. Skirmish Sangin – Things get technical. 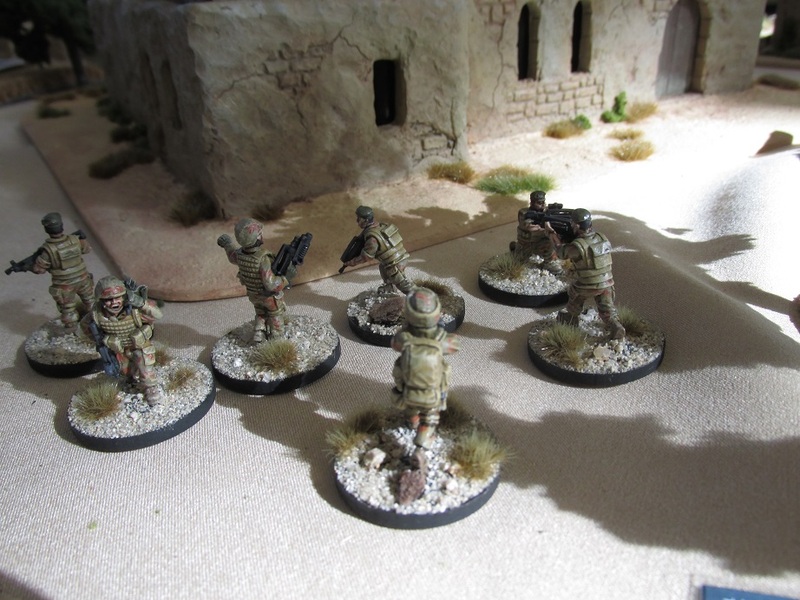 Skirmish Sangin – a patrol approaches a village in the late afternoon sun. Ronin – Land of the Rising Sun. 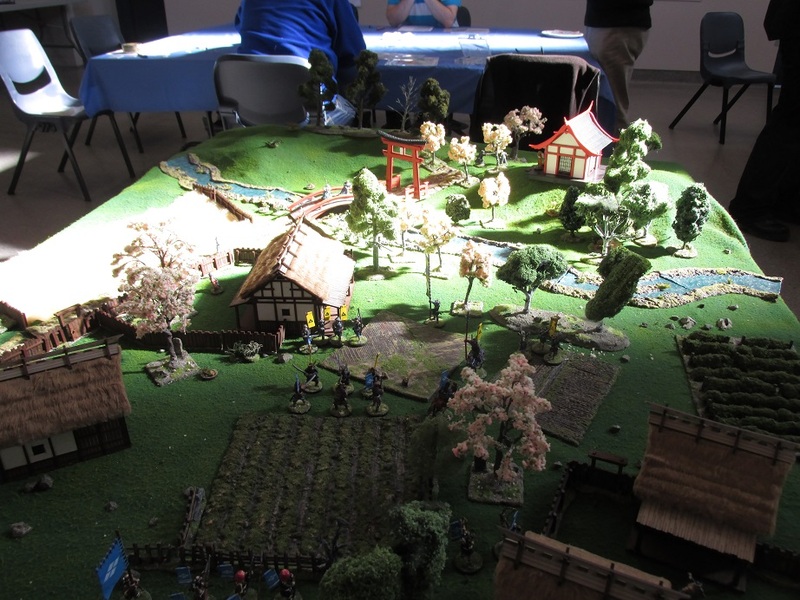 Dawns breaks over a Japanese village. 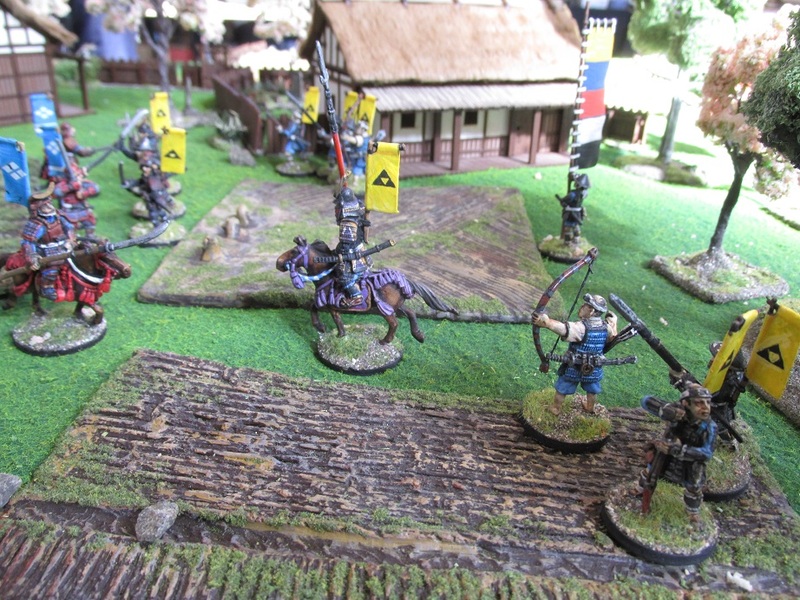 Ronin- Ashigaru advance across the vege garden. 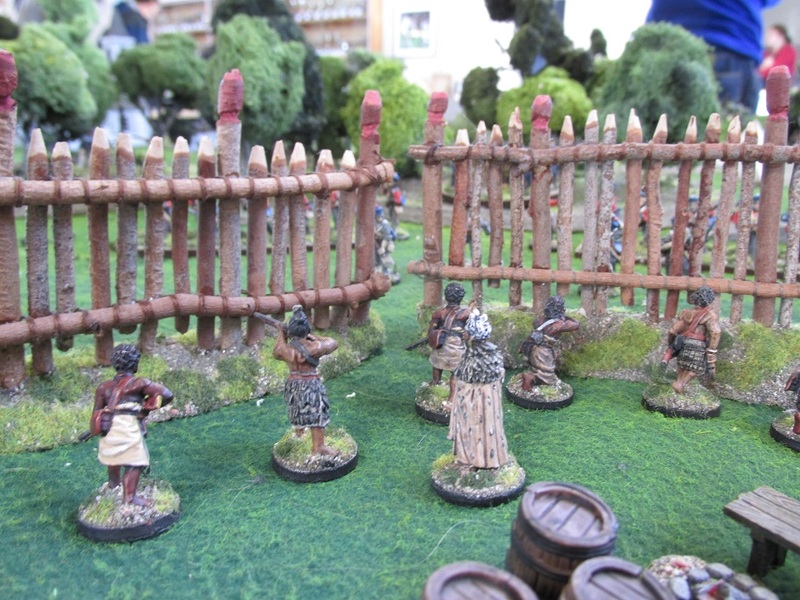 Ronin – Two groups of enemy samurai come to grips in the village. 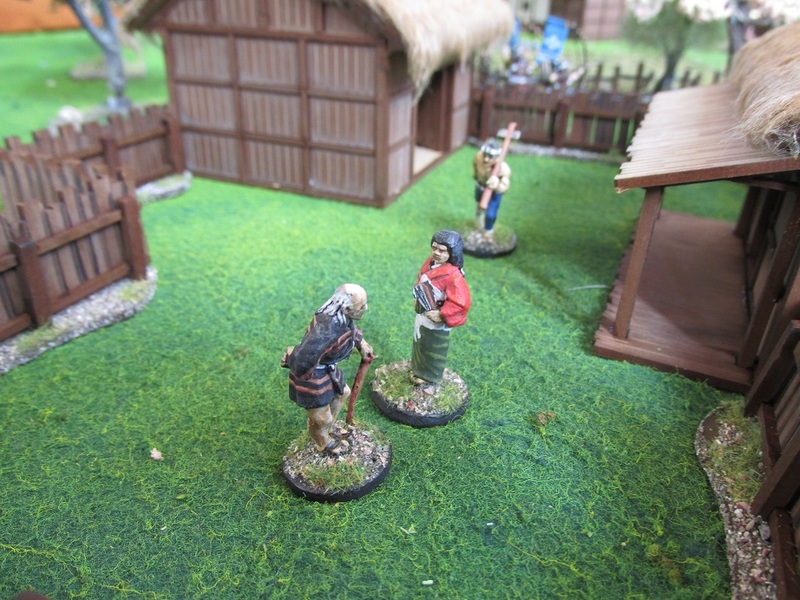 Ronin – Japanese villagers go about their business. 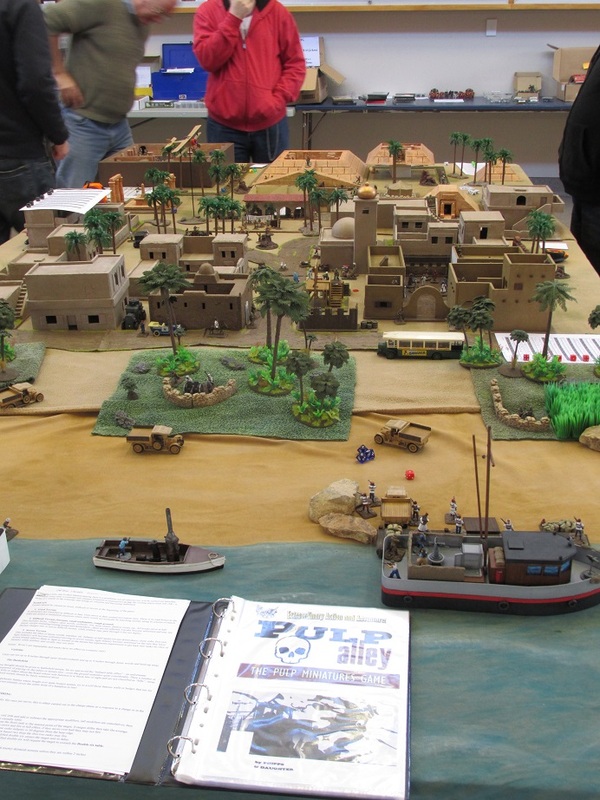 Pulp Alley – somewhere up the Nile. 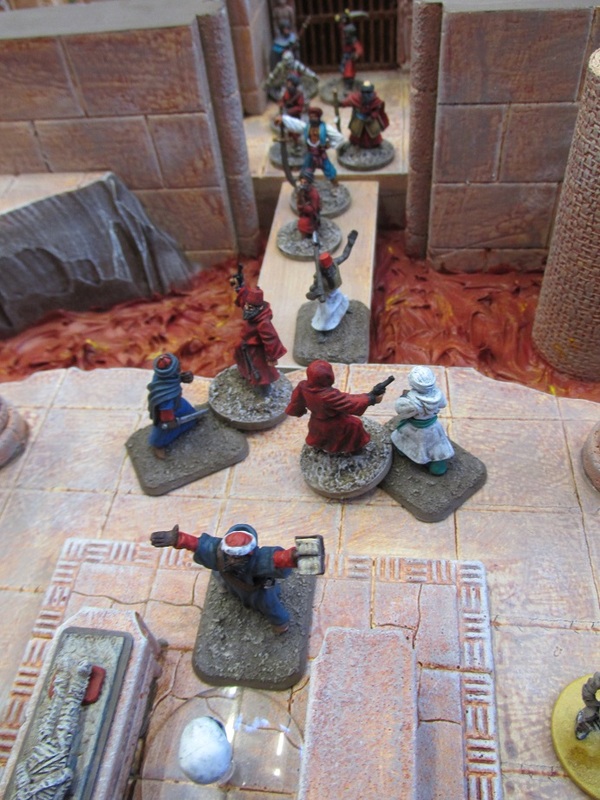 Pulp Alley – Inside the Temple of Doom, or something similar. Lava flowing around the alter. Love it. 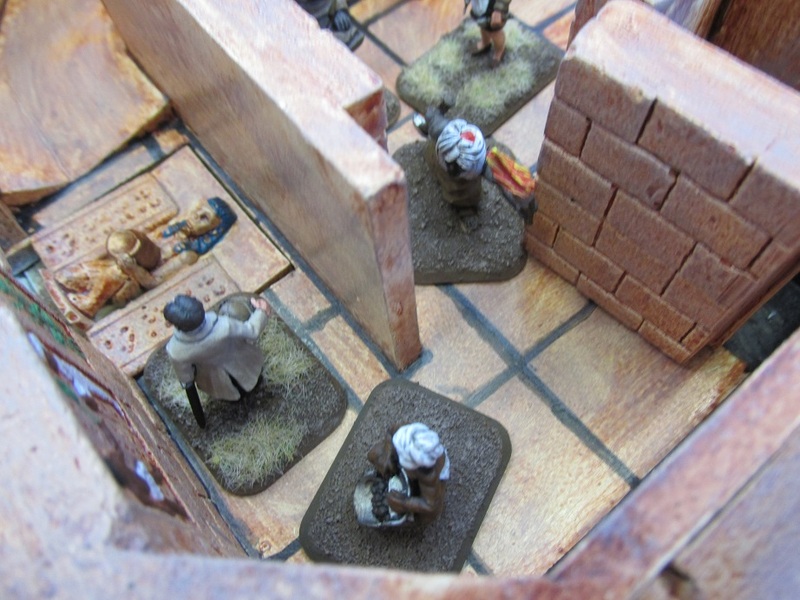 Pulp Alley – An intrepid explorer (or tomb robber) explores the passageways. Pulp Alley – Inside the Pyramid of Terror (I made that up because it sounded Pulpy). 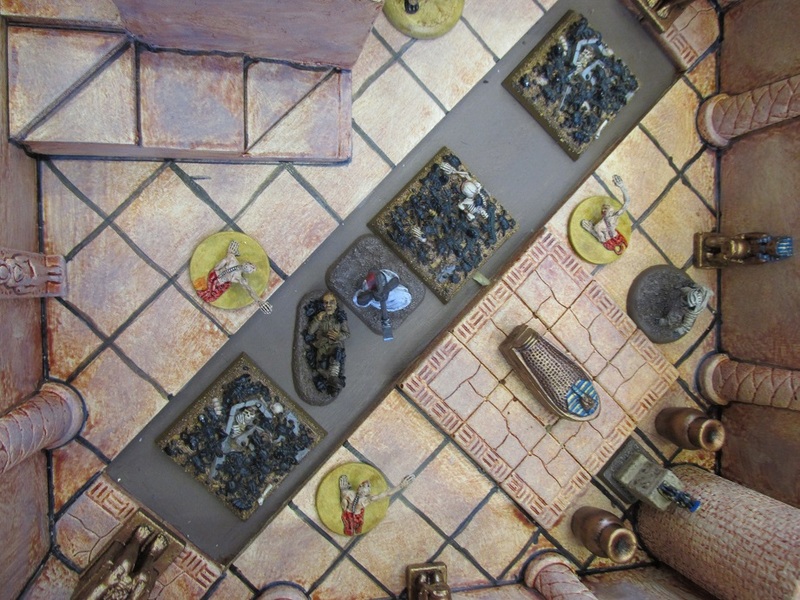 Scarab swarms and mummies abound. 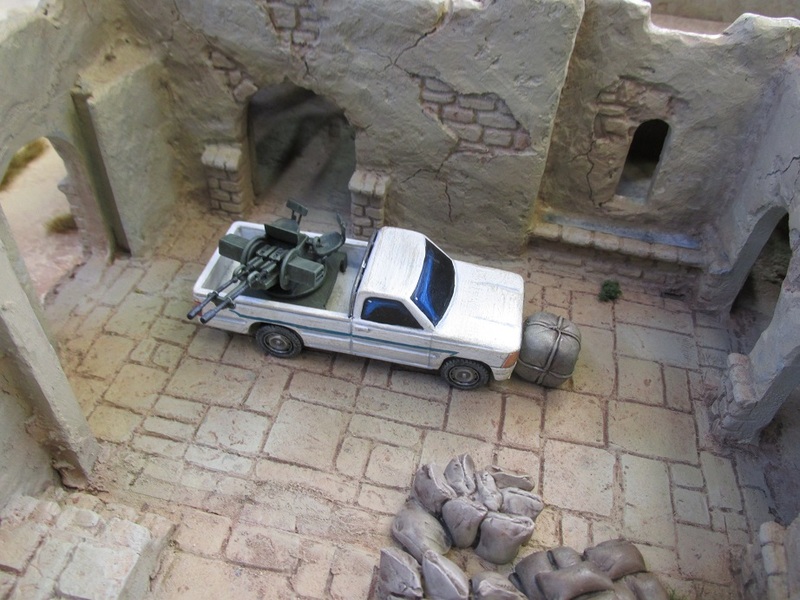 Pulp Alley – Ready, and Action! 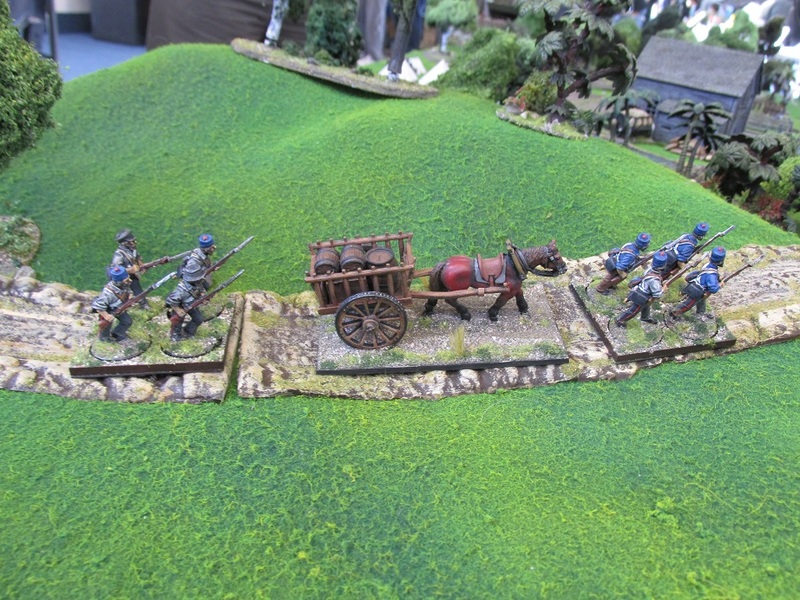 New Zealand Wars – A British Supply column makes it way north from Wellington to Boulcott Farm. 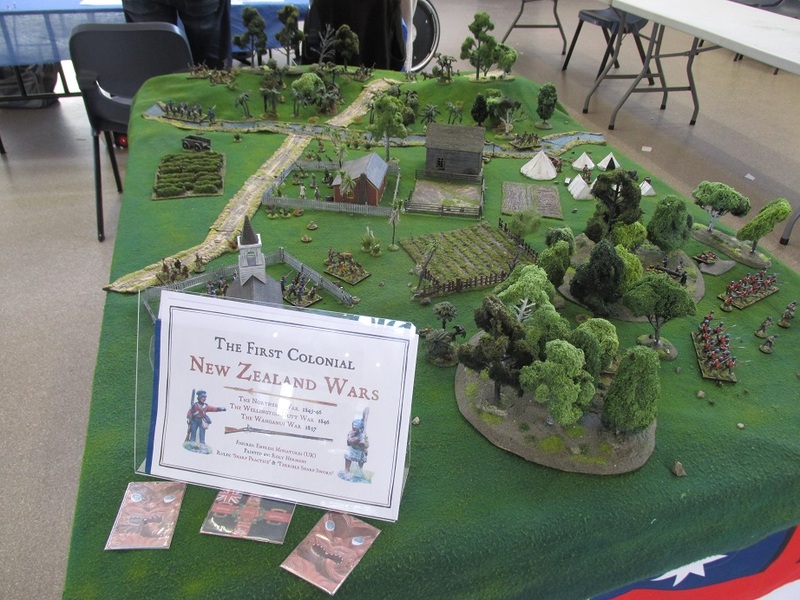 New Zealand Wars – Maori defend their pa against attacking red coats. 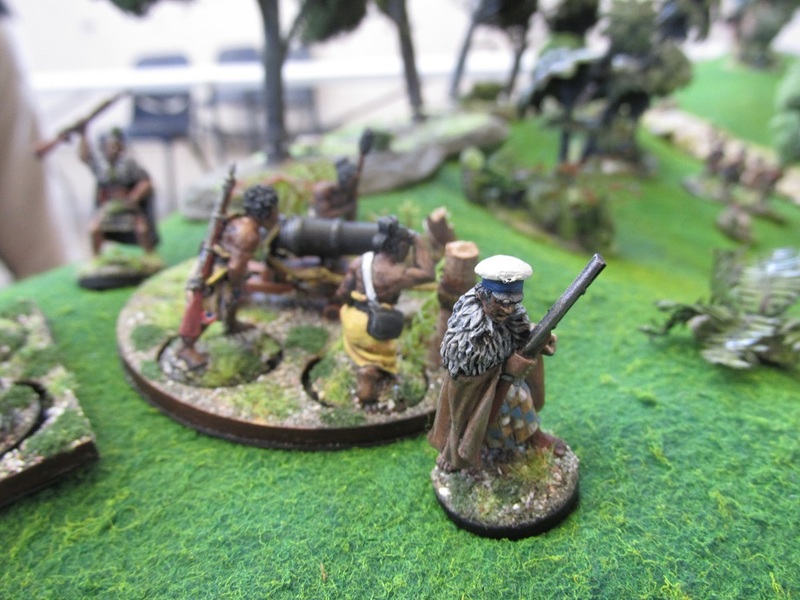 New Zealand Wars – Northland Chief Hone Heke directs his troops to fire their carronade. 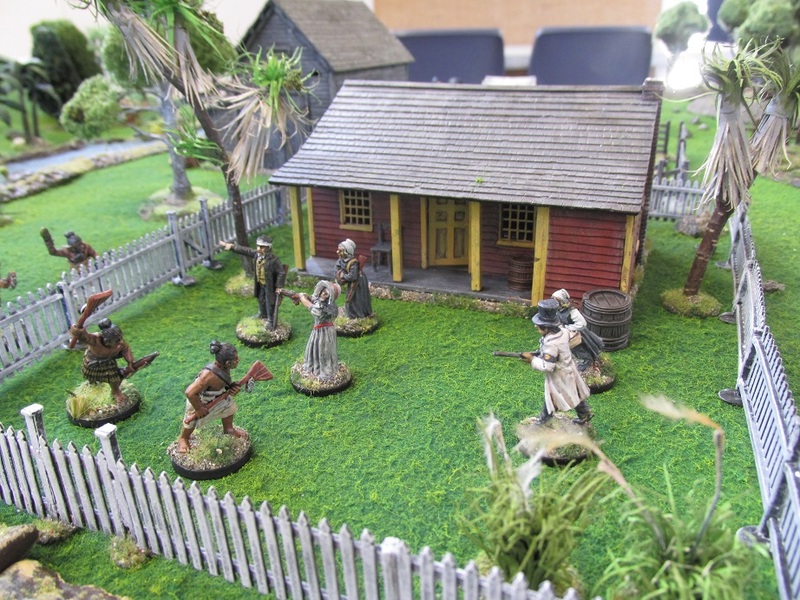 New Zealand Wars – a settler cabin under attack. New Zealand Wars – Maori Warriors attack the British settlement. 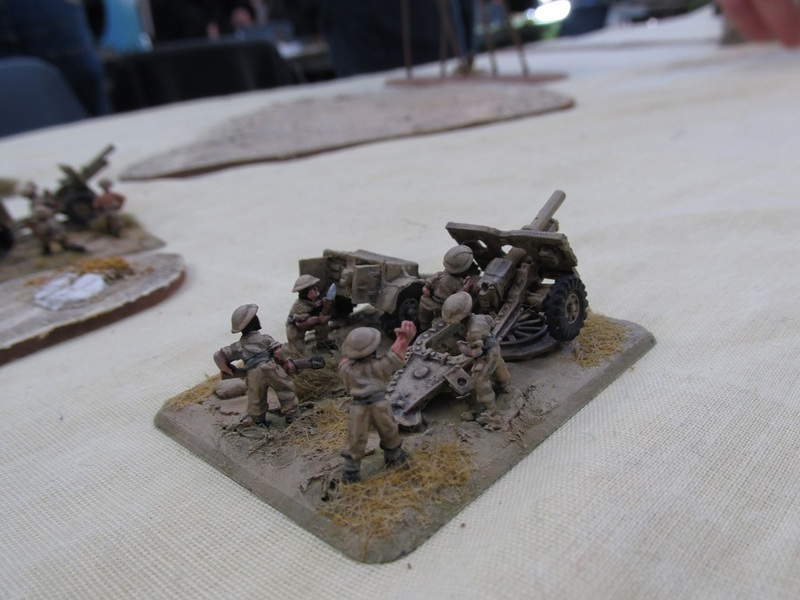 Flames of War – A 25pdr battery in action. 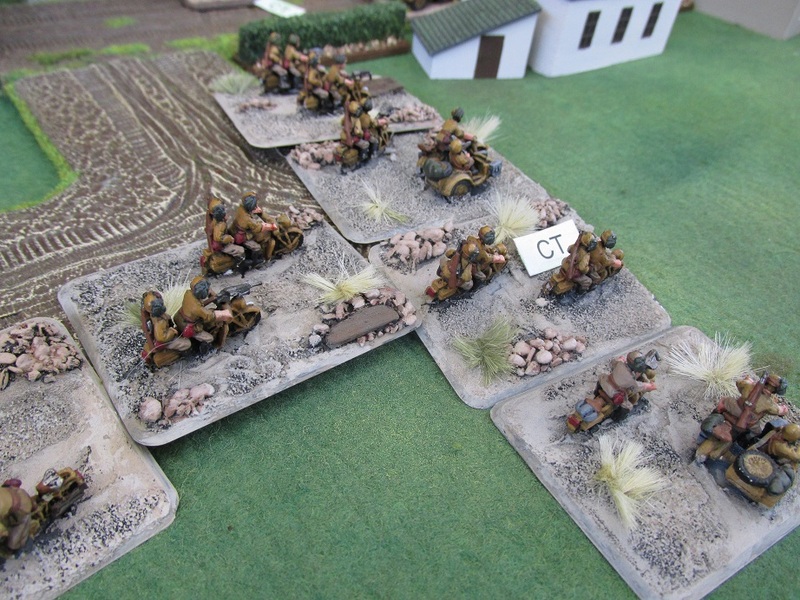 Flames of War – Polish motorcycle troops. Loved these guys. 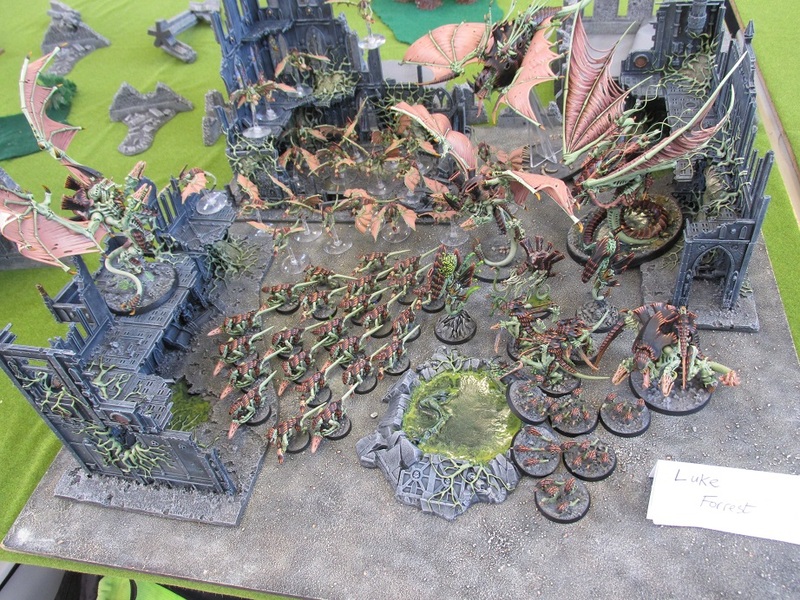 Great painting and base-work. 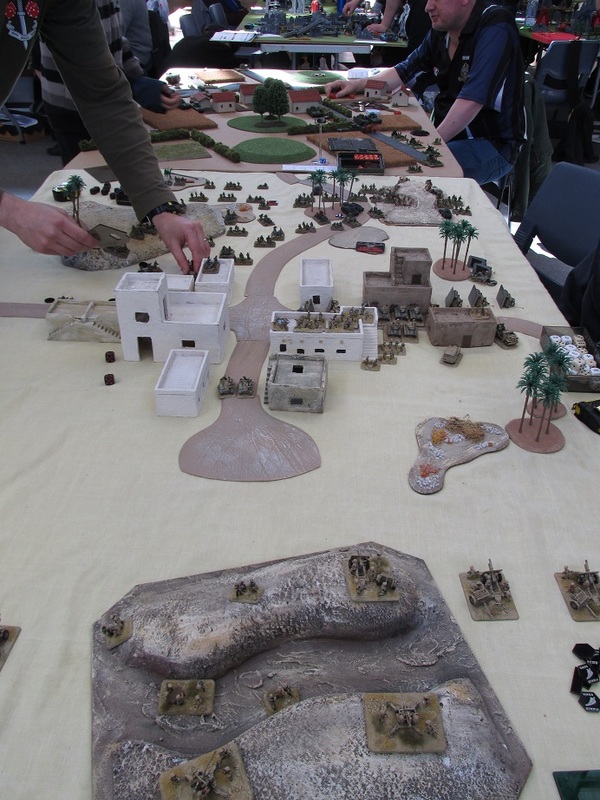 Flames of War – more games in progress. 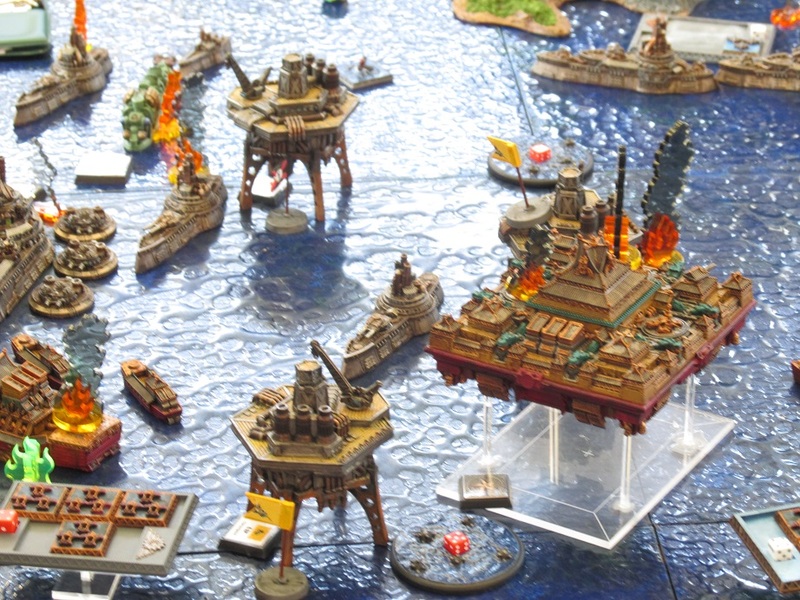 Dystopian Wars – A fleet action of some sort. 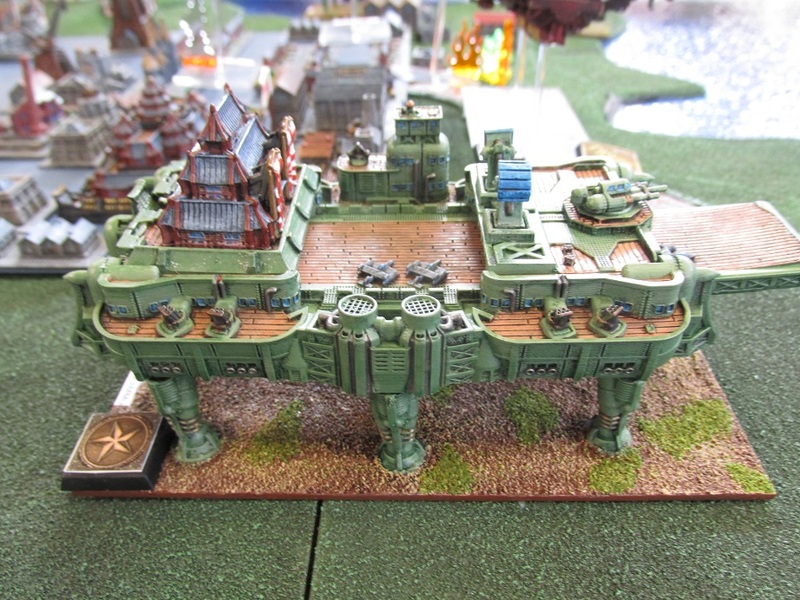 Dystopian Wars – A big land walker thingy. 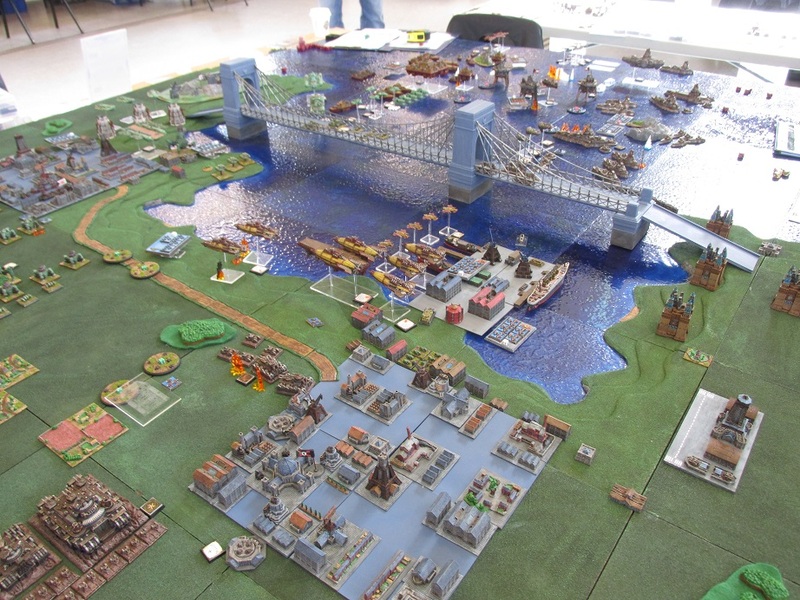 Dystopian Wars – the superb table that these guys had set up. 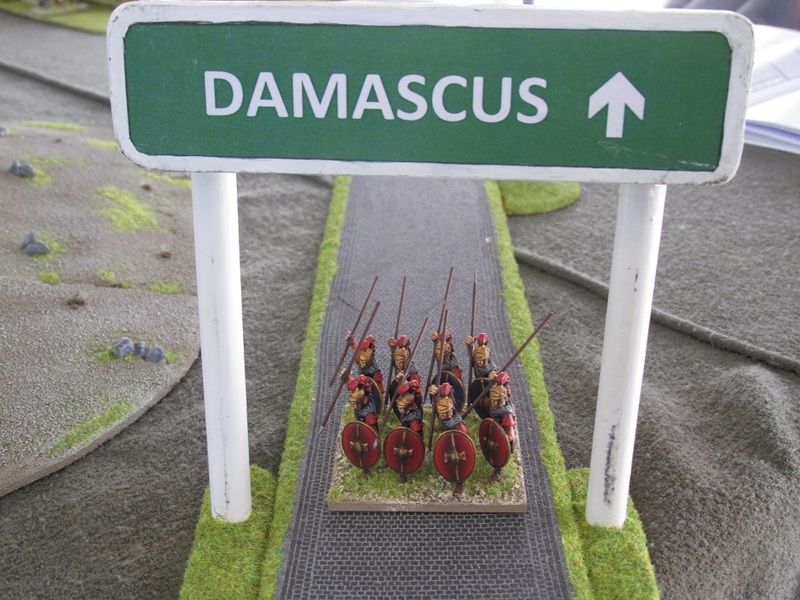 DBM – The Road to, well, Damascus. 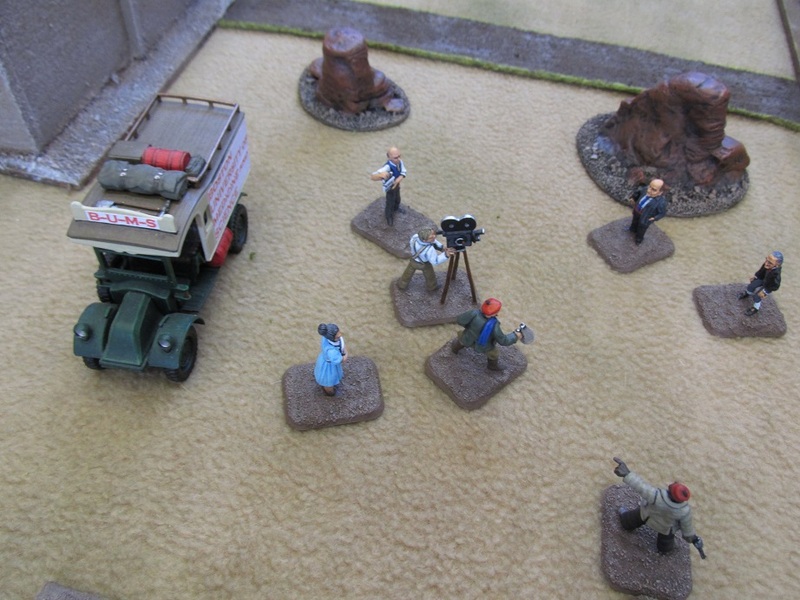 DBM – 25mm game in progress. DBM – game in progress. This is quite popular at the moment. 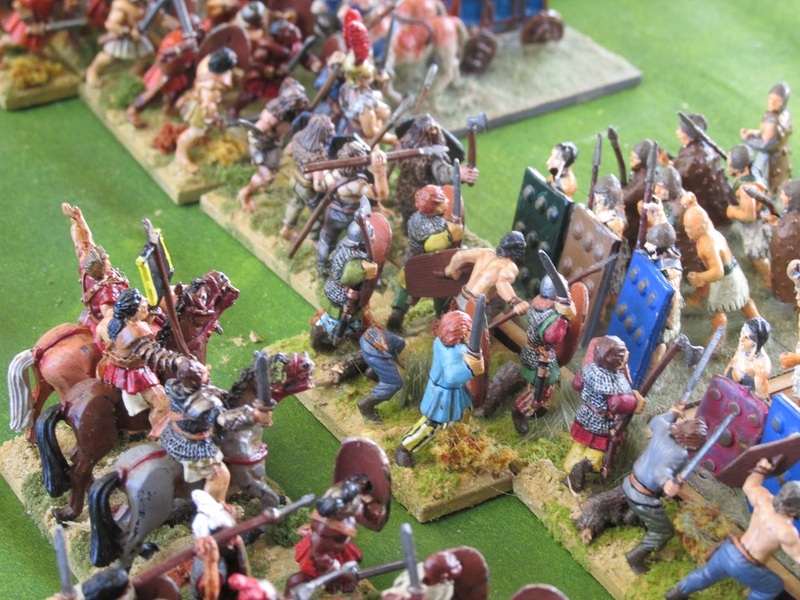 Great to see 25mm ancients being played. 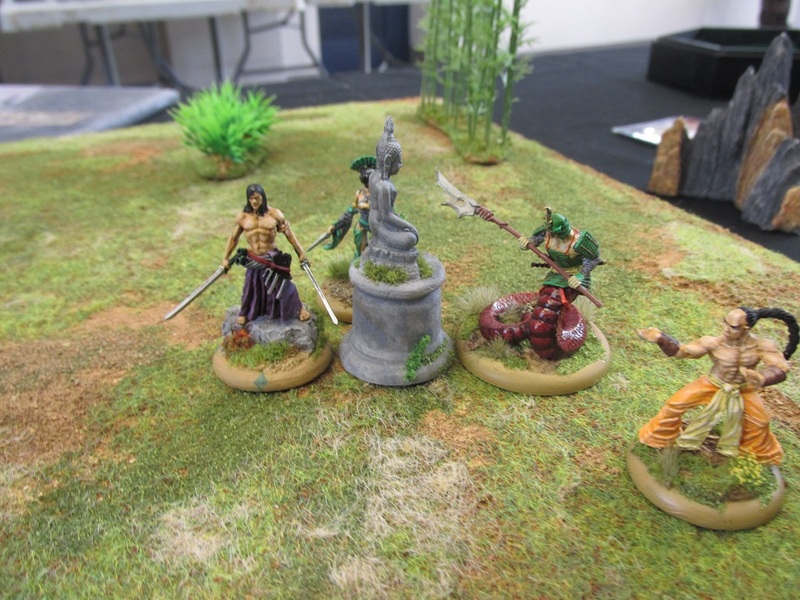 Bushido – Fantasy Oriental game. 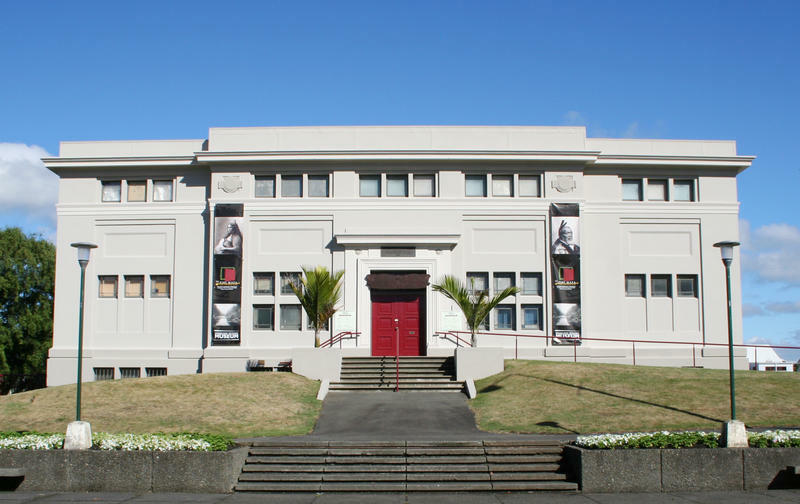 The Whanganui Regional Museum is a top rate museum – a gem for a small provincial town like Wanganui. If you are ever holidaying in New Zealand and go to the picturesque riverside town of Wanganui, please visit the Regional Museum. 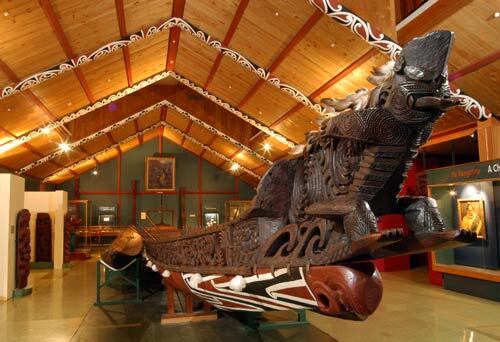 My favourite exhibit is the great Maori War canoe “Te Mata o Hoturoa“. This vessel was used in combat and still has bullet holes along it’s hull. 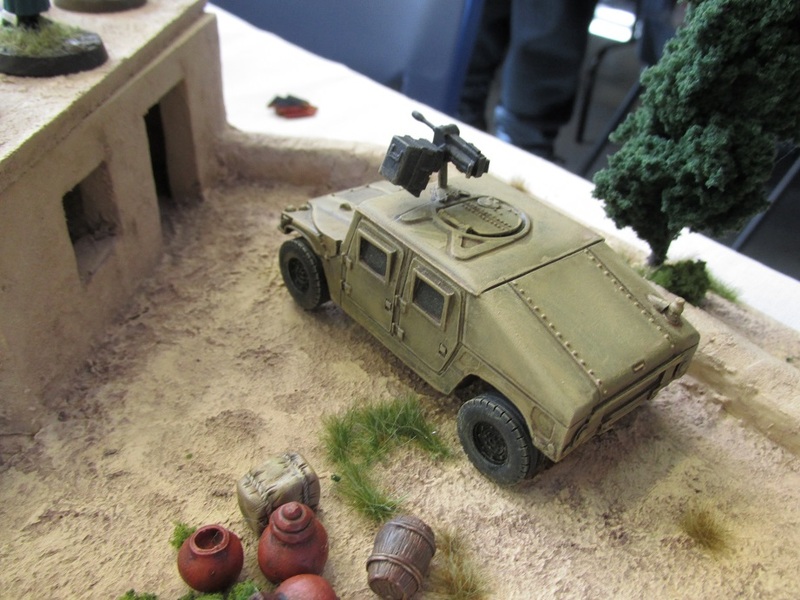 Empress Miniatures needs to make one of these in resin for the Maori War’s Range of minis that they make. Anyways, I was asked to put on a display of miniatures as part of a retro-gaming themed display that was run during the last school holidays. They had a lot of old school video games (like Donkey Kong and Spacies) and while I am not sure that wargaming is completely ‘retro’, I think it added a little something to the week. I also put on a participation games of Wild West Skirmish using The Rules With No Name – but to be honest, I mostly fudged and made stuff up. 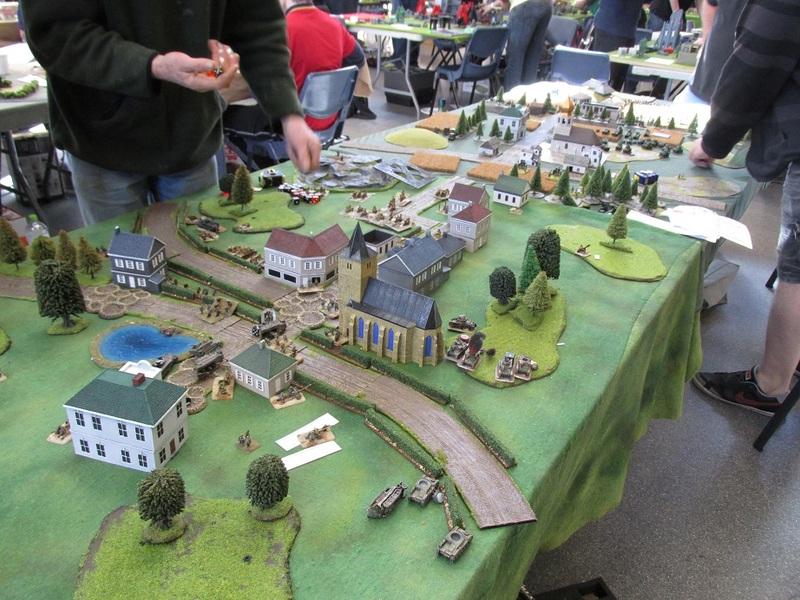 I met a few guys who are local wargamers and entertained a bunch of kids for a few hours. It was fun. I apologise for the quality of the photos but I took them with my cell phone just before I packed up and took all my toys home. The display case was quite neat – and try as I might I could not fit it in the back of the 4×4. I tried to throw in a bit of everything that I have. 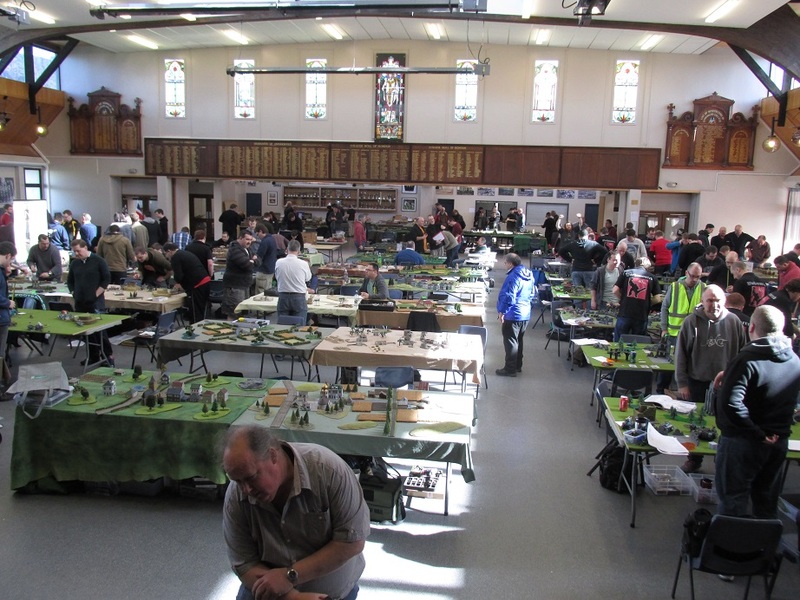 There was a lot of interest and there is the distinct possibility of a Wanganui Wargaming Club being resurrected. There is also the possibility that the museum may be interested in providing a space. In this picture you can see my Kapiti Fusiliers badge. Although the Fusiliers are now in hiatus, I am very proud of my Fusilier name badge. 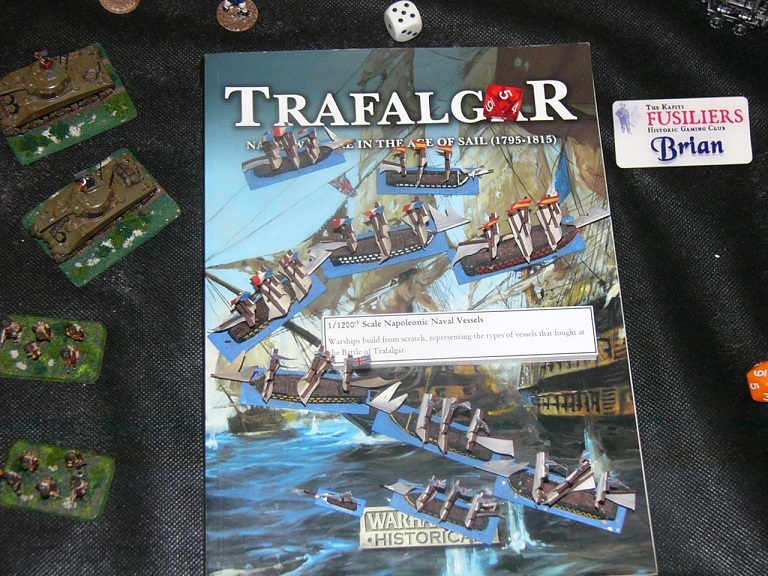 Here you can see some 15mm WWII and Napoleonic 1200th Naval vessels (made from balsa). Some Wild West up top and my 15mm New Zealand forces for Flames of War (or other games as required). 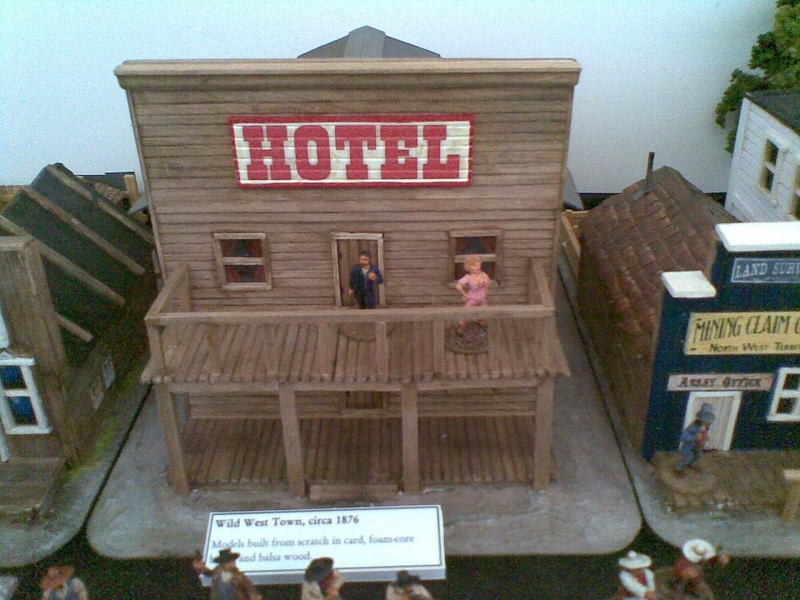 A Wild West hotel (and that is Al Swearengen up there). 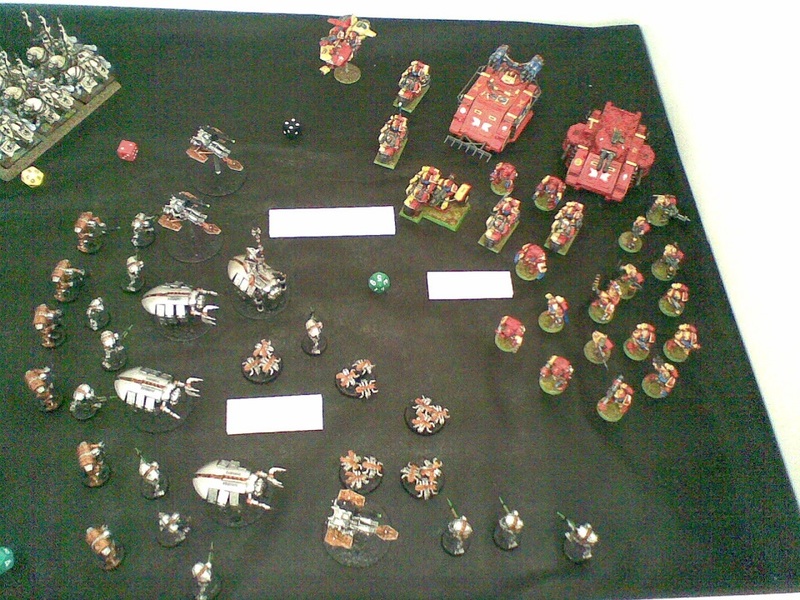 Warhammer 40K Models (Space Marines and old school metal Necrons). Some Bretonnian knights top left.